We're excited to announce our grand reopening at 3322 Curry Ford Rd, Orlando, FL 32806! Central Florida's largest inventory of bowling balls & accessories! We carry more than 100 different balls from all major companies including Brunswick, Columbia 300, DV8, Ebonite, Hammer, Radical, Roto Grip, Storm, & Track. While you're here, check out our large selection of shoes, bags, tape, towels, and other essentials. If we don't have it in stock, we can order it for you! Need your equipment drilled, plugged, cleaned, resurfaced, or otherwise serviced? We have all of the tools in house to meet your needs, including the only Ebonite Wave machine in Orlando! Every bowler is different. That's why we take the time to learn about your goals. Whether you need advice on starting the game or taking things to the next level, we're here to help. Meet with one of our expert team members to get started today! 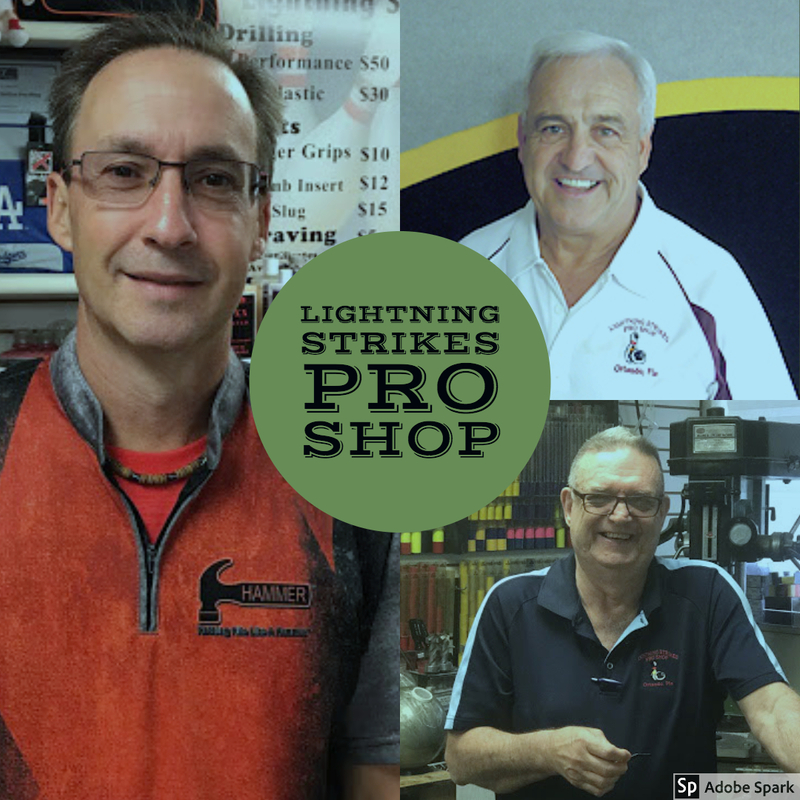 Established in 2007, Lightning Strikes Pro Shop is a full service stop for all of your bowling needs! We stock the largest inventory of balls & accessories in Central Florida. Our process starts with people. We take the time to learn about your experience, style, goals, challenges, arsenal, and budget in order to make expert recommendations that work. We watch you bowl before fitting your equipment and provide a free game with every drilling. This personalized service doesn't cost extra - we price match new bowling balls with internet prices for at least one year! Our staff has over 75 years combined bowling experience, 30 years providing excellent pro shop service, and has served over 5800 customers. With a PBA member on our team and thousands of success stories, you can trust your game with us.